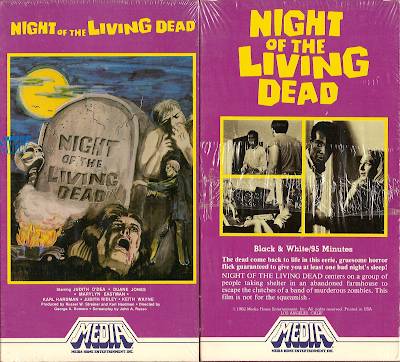 I believe this is the second home video of George A. Romero's watershed genre moment released in North America. The first probably being also from MEDIA, but under their initial "MEDA" name. 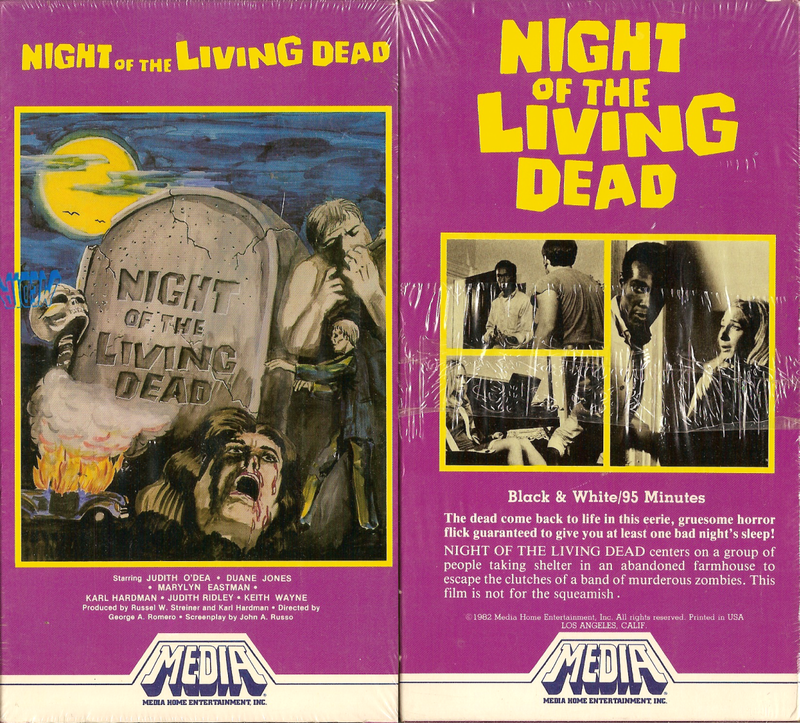 Two years later, K-TEL released this great double feature VHS set, a year after that Congress Home Video issued another quality tape, and then I imagine NOLD languished in cheapie EP-speed hell before Elite Entertainment came to the rescue with their restored Laserdisc. I used to have this tape! I bought it at a gas station on a family road trip back in the mid-90s for only $10. It was in surprisingly good condition.